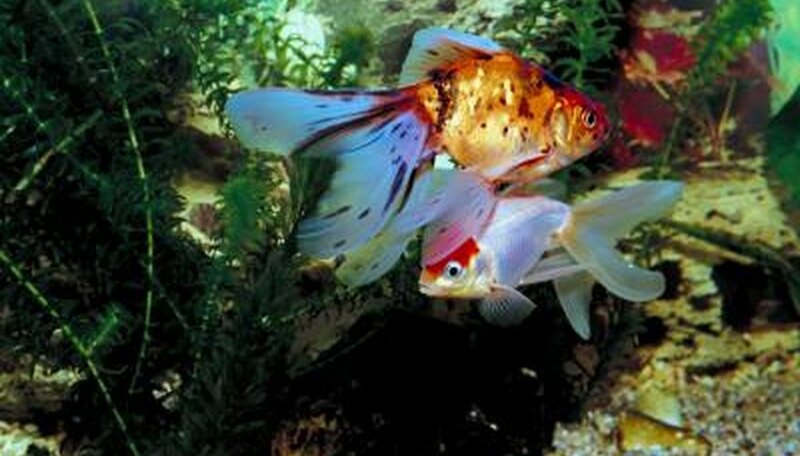 Maintaining a proper pH in water is very important, especially in fish tanks. If the pH gets too high, it can kill the fish. There are several remedies, including CO2, muriatic acid and phosphoric acid buffer. Knowing the benefits and side effects of the different methods can help determine the best way to treat your water. Bubble carbon dioxide through the tank. The carbon dioxide will break up and form carbonic acid which will help lower the pH. However, the pH will increase once the carbon dioxide ceases, making this an expensive solution. Use phosphoric acid buffer. This will bring the pH down to around 6.5, but will increase the phosphate levels. This is problematic because algae thrive in tanks with high phosphate levels. Add muriatic acid, also known as hydrochloric acid. While this can be a very effective method, it also has the potential to lower the pH drastically; follow the instructions carefully. Use a tap water filter. These filters remove minerals like sodium, fluoride and potassium by using small resin pellets to absorb the impurities and restore the proper pH level to the water. Tap filter systems can purify about ten gallons an hour. Acid can very dangerous, so use caution when handling it. What Is Lime Used for in Water Treatment? Kennan, Mark. "How to Reduce PH in Water." Sciencing, https://sciencing.com/reduce-ph-water-5328522.html. 24 April 2017.